Daniel Muijs is Professor of Education at the University of Southampton. Previously he worked as Professor of Pedagogy and Teacher Development at the University of Manchester, School of Education, Professor of School Leadership and Management at the University of Newcastle and as senior lecturer in quantitative research methods at Warwick Institute of Education. He is an acknowledged expert in the fields of Educational and Teacher Effectiveness and quantitative research methods and is co-editor of the journal ‘School Effectiveness and School Improvement’. 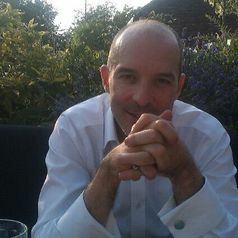 He has published widely in the areas of teacher and school effectiveness and improvement, educational leadership and research methods, and has a strong interest in the relationship between research, policy and practise. He holds a PhD in Social Sciences from the Catholic University of Leuven (Belgium), and MSc in Managerial Economic (Catholic University of Leuven) and a BA in Communication Sciences (Catholic University of Leuven). Daniel is currently Deputy Head of School and Director of Research at Southampton Education School, Treasurer of the International Congress on School Effectiveness and Improvement (ICSEI), and chair of the Curriculum and Standards Committee at Wyvern Academy. All views expressed his own. Lumby, J. & Muijs, D. (2013). Corrupt language, corrupt thought: the White Paper The importance of teaching., British Educational Research Journal, 40(3), 523-538. Muijs, D., Kyriakides, L., van der Werf, G., Creemers, B., Timperley, H. & Earl, L. (2014). State of the art – teacher effectiveness and professional learning, School Effectiveness and School Improvement, 25(2), 231-256. Muijs, D. & Rumyantseva, N. (2014). Coopetition in education: Collaborating in a competitive environment. , Journal of Educational Change, 15(1), 1-14. Chapman, C. & Muijs, D. (2014). Does school-to-school collaboration promote school improvement? A study of the impact of school federations on student outcomes. , School Effectiveness and School Improvement. 25(3), 351-393. Kyriakides, L., Muijs, D., Papadastiou, P., Pearson, D., Reekers-Mombers, L., & van Petegem, P. (2014). Using the Dynamic Model of Educational Effectiveness to Design Strategies and Actions to Face Bullying, School Effectiveness and School Improvement. 24(1), 83-104. Muijs, D. Chapman, C & Armstrong, P (2013). Can early careers teachers be teacher leaders? A study of second year trainees on the Teach First alternative certification programme. , Educational Management, Administration and Leadership, 41(6), 767-781. Othman, M. & Muijs, D. (2013). Educational quality differences in a middle income country: The urban-rural gap in Malaysian primary schools. , School Effectiveness and School Improvement, 24(1), 104-122. Chapman, C. & Muijs, D. (2013). Collaborative school turnaround: a study of the impact of school federations on student outcomes. , Leadership and Policy in Schools, 12, (3), 200-226. Muijs, D., Chapman, C. & Armstrong, P. (2012). Teach First: Pedagogy and outcomes. The impact of an alternative certification programme. , Journal for Educational Research Online 4(2), 29-64. Reynolds, D., Chapman, C., Kelly, A., Muijs, D. & Sammons, P. (2011). Educational Effectiveness: the development of the discipline, the critiques, the defence, and the present debate. , Effective Education, 3(2), 109-127. Theodosiou-Zipti, G., West, M. & Muijs, D. (2010). Factors affecting ethnic minority students’ attainment in secondary schools in Cyprus: a focus group study. , Intercultural Education, 21(5), 483-489. Muijs, D. & Dunne, M. (2010). Setting by Ability. Or is It? , Educational Research, 52(4), 391-408. Muijs, D. (2010). Leadership and Organisational Performance: From Research to Prescription? , International Journal of Educational Management, 25(1), 45-60.